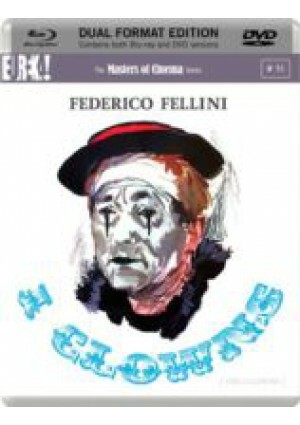 One of the Fellini films which has been out of circulation for many years, I clowns [The Clowns] has long been revered by Fellini enthusiasts for the several decades since its release as among the Maestro's finest works a thrilling spectacle, once seen for the first time, and a picture which after multiple viewings easily takes its place alongside such classics as La strada, Le notti di Cabiria, La dolce vita, Satyricon, Amarcord... but in a register all its own. I clowns plays out in dazzling colour and in episodic cascade, just as in all of Fellini's late-60s-and-beyond films. As the circus rolls into town, and the big-tent gets erected, the clowns execute their acts with feverish can-you-believe-it bravado. It's all true and yet not a "documentary" per se; rather, something in-between a dramatic-comedic portrayal of gags-at-play and the memoria of all that makes the spark for childhood inspiration to ignite into creative virtuosity... and/or into something like Federico Fellini. A great and under acknowledged treasure of the cinema, I clowns takes its place alongside such films as Bergman's Carnies' Twilight, Ophuls's Lola Montès, Étaix's Yoyo, Jerry Lewis's The Day the Clown Cried, and Tati's Parade as one of the grand portraits of the clowning circus, of a bygone era of the wandering entertainer. 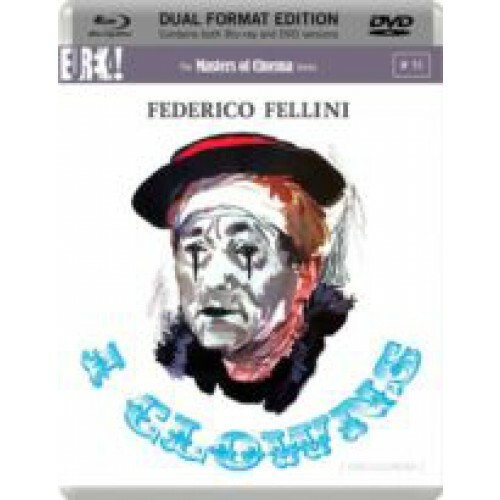 The Masters of Cinema Series is proud to present Federico Fellini's I clowns in a special Dual Format (Blu-ray + DVD) edition for the first time in the UK. A 36-PAGE BOOKLET featuring new writing about the film, rare archival imagery, and more!